Port Tampa Bay has announced that they have reached 1 million cruise passengers in one single year, for the first time ever. Port Tampa Bay reached this number on September 17, 2018. It is projected that the port will reach 1.04 million passengers by the end of the fiscal year, ending on September 30. This would mean a 9% increase from last years numbers. "A fantastic moment for Port Tampa Bay and our cruise line partners," port CEO Paul Anderson said in announcing the news. Carnival Cruise Line, Royal Caribbean Cruise Line, Holland America Line and Norwegian Cruise Line sail out of Tampa, offering 4, 5, 7 and 14-day cruises to Mexico, Cuba and the western and southern Caribbean. 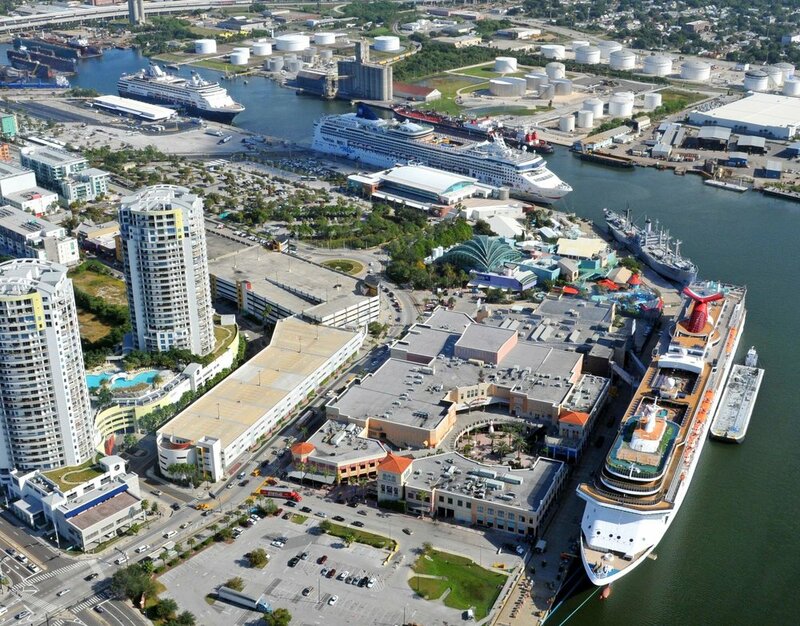 Even though this may seem like a large number for Tampa, it is one of the least busy ports in Florida. In the 2016 fiscal year, Miami reached 4.9 million passengers, Port Canaveral reached 4.2 million, and Port Everglades reached 3.8 million. Tampa can thank the Sunshine Skyway Bridge for it’s low numbers. The bridge is not tall enough to allow modern mega ships, like Royal Caribbean’s Oasis and Quantum Class cruise ships. However, Tampa offers a nice array of newly renovated older ships, that carry around 2,000 to 3,000 passengers, from many different cruise lines. I have sailed out of Tampa twice on mid-sized ships. Back in 2016 on the Brilliance of the Seas, and in 2017 on the Norwegian Jade. I personally loved this port. It is extremely relaxed and easy to navigate. The itineraries offered out of Tampa are also really fun. Not only that, but Tampa is one of the best cruise ports in Florida for sail away views!